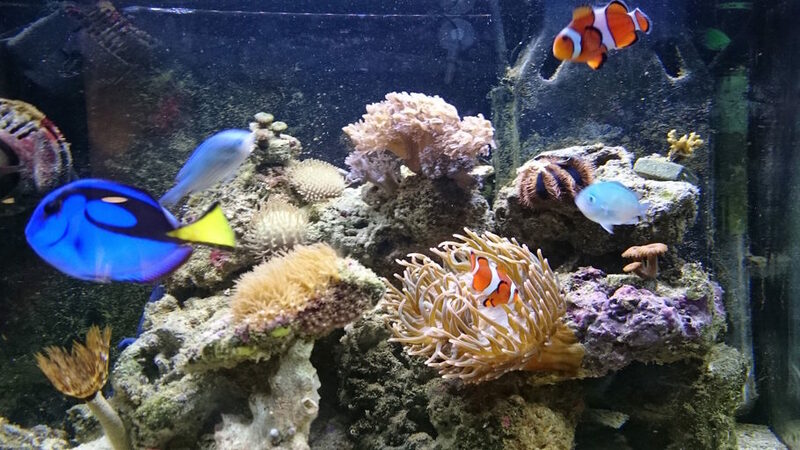 Here you will find a wealth of in-depth information about navigating the challenges of a saltwater aquarium including insight into some of the most common mistakes and how to avoid them for yourself. 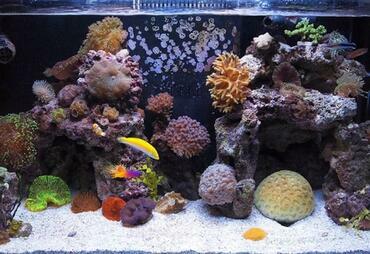 If you’re ready to learn how to be the best saltwater aquarium hobbyist you can possibly be, simply keep on reading! 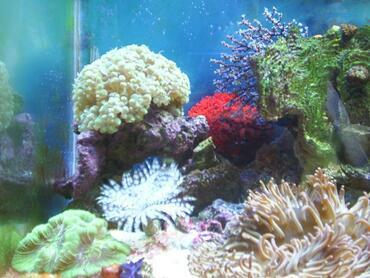 Why Are Saltwater Tanks So Challenging to Keep? 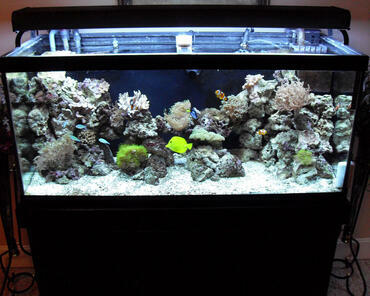 Thanks to modern technology, keeping a saltwater aquarium in your home is much easier than it was even a few decades ago. This doesn’t mean, however, that it isn’t still a challenge. 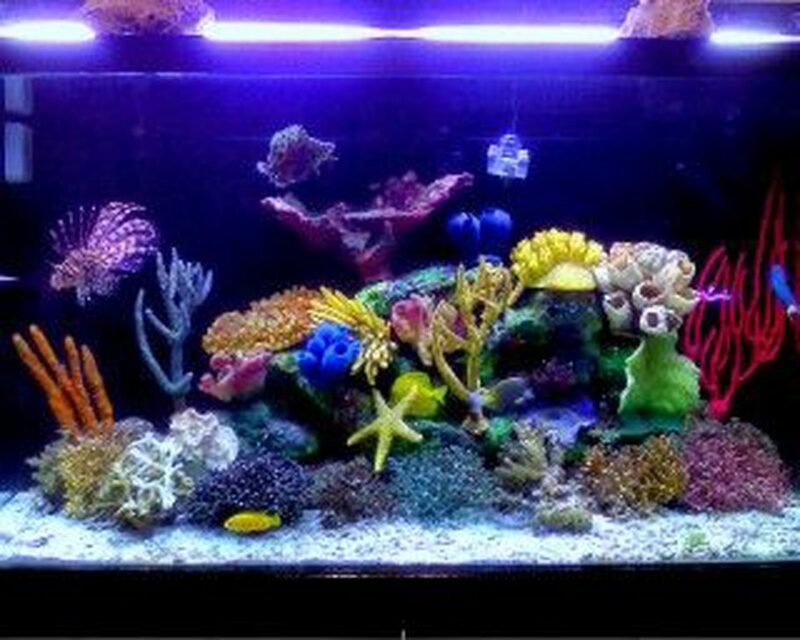 With a freshwater tank you need to maintain a certain balance in your water chemistry, but you have a little more wiggle room than you do with a saltwater tank. 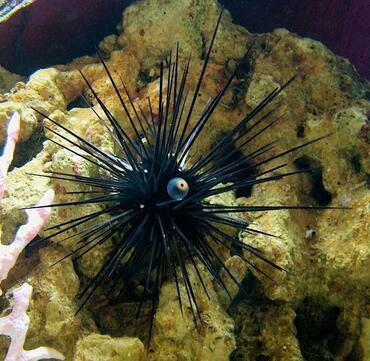 Marine inhabitants require a specific level of salinity and it can be difficult to maintain the optimal level when you factor in things like evaporation and the nitrogen cycle. But that isn’t the only challenge you have to navigate! 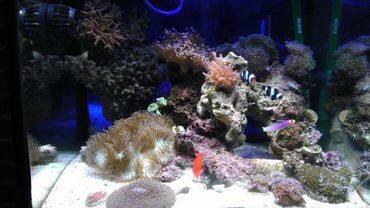 In addition to keeping the salinity in your tank stable, you also have to worry about tank temperature and lighting. 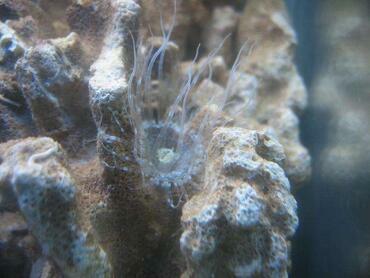 These things are particularly important if you keep corals in your tank. 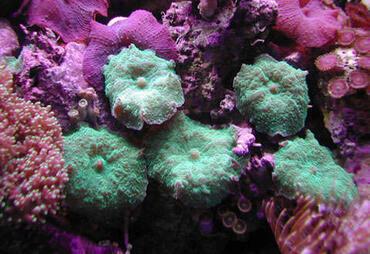 Certain species of coral require a high degree of lighting while others do not. 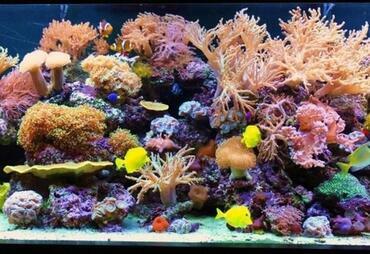 You must also keep in mind that the ideal environment for corals and other invertebrates may not line up with the tank requirements of certain saltwater fish. It’s up to you to find the right balance. 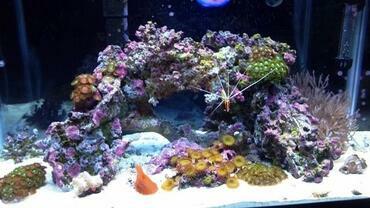 One final aspect that makes saltwater aquariums particularly challenging to keep is the fact that maintenance requirements are much higher on the whole. Whereas you can be reasonably confident that your freshwater tank will be fine if you go on vacation for a week, a saltwater tank could take a turn for the worst if left unattended for just two or three days. It’s not always possible to automate certain maintenance tasks, either, unless you’re prepared to spend hundreds of dollars on a top-of-the-line filtration system. 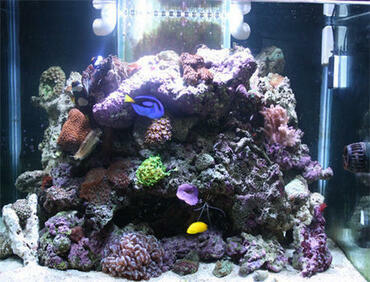 What Are the Top 10 Mistakes Saltwater Aquarium Hobbyists Make? 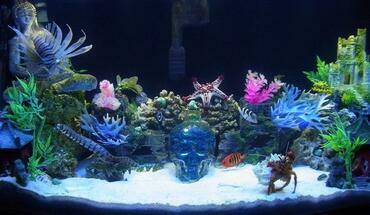 Insufficient research and planning is the biggest mistake many novice aquarium hobbyists make. 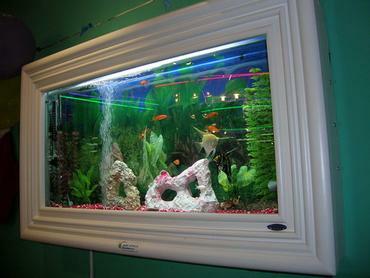 It is particularly common in hobbyists who have experience with freshwater tanks because many people assume that it will be similar. 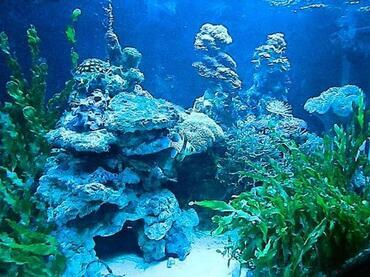 The reality is, however, that saltwater aquariums are more complicated in terms of setup and maintenance so, if you don’t have a firm foundation of knowledge to start with, you may find yourself chasing a growing snowball of problems down a very steep hill. 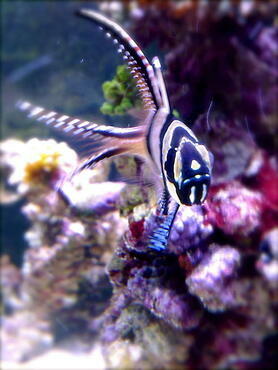 It is not enough to spend an hour or two reading about saltwater aquariums before you head to the pet store to buy a tank and the necessary supplies and equipment. 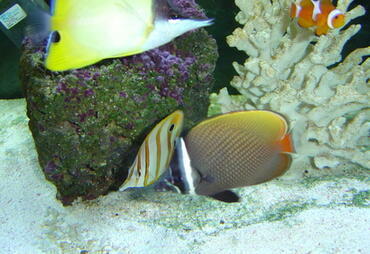 Saltwater environments can be finicky, especially in smaller tanks, and if you don’t know how to deal with problems as they arise, you may be doomed to fail. More than just doing some general research, however, you need to plan everything down to the smallest detail, especially when it comes to your tank inhabitants. 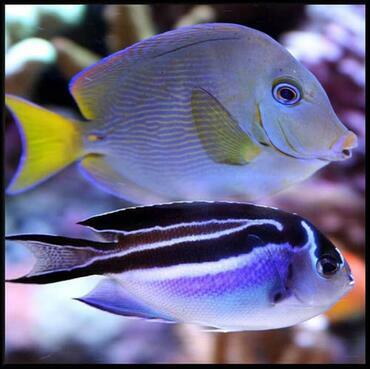 Whereas many freshwater aquarium fish are tolerant of minor fluctuations in tank temperature and water chemistry, marine fish tend to be a little more sensitive. 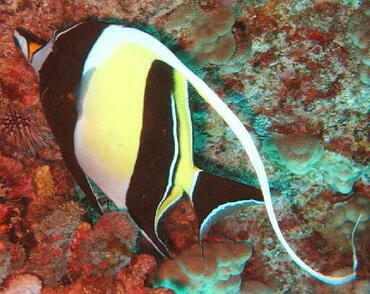 Depending on the environment from which they come, marine fish have specific requirements for water chemistry, salinity, and water temperature. If you don’t know exactly what these requirements are for the fish you plan to keep, you can’t cater your tank environment to meet those requirements. 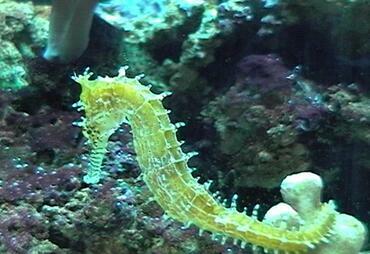 You also need to be sure that all of the livestock you keep in your tank – this includes live rock, fish, corals, and other invertebrates – are compatible before you begin. Resolution: To ensure your best chance of success with your first saltwater aquarium, you need to spend a significant amount of time doing research. 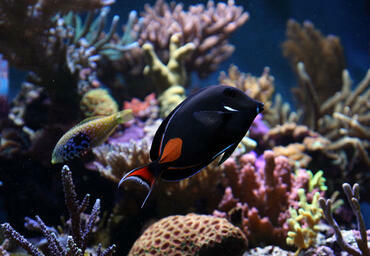 First, you’ll need to decide what type of tank you want to cultivate – fish only, fish only with live rock, or a reef tank. Each of these comes with its own unique set of challenges, so be sure you understand exactly what each type of tank entails before you make your choice. From there, you can move on to the specifics of what kind of livestock you want to keep in your tank which will determine the ideal tank parameters. 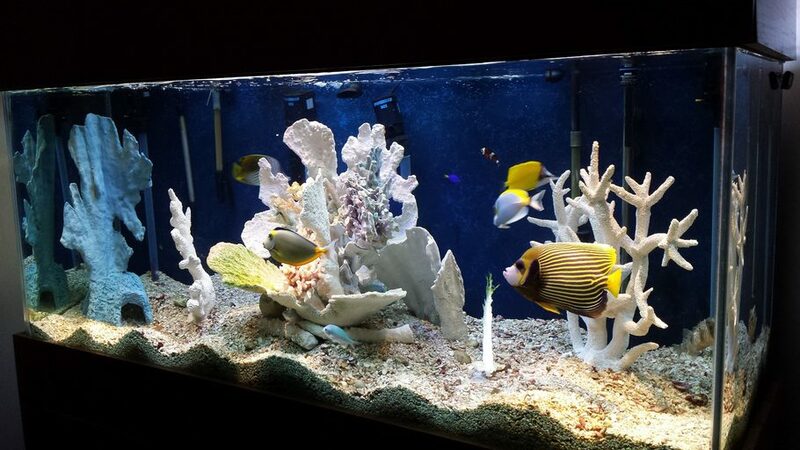 Once you know what kind of environment you need to maintain with your tank you will be able to pick out the best equipment for the job and, from there, all that is left is the actual setup and maintenance. Even if you do the research beforehand, you may make a mistake when it comes to choosing the right size for your saltwater tank. 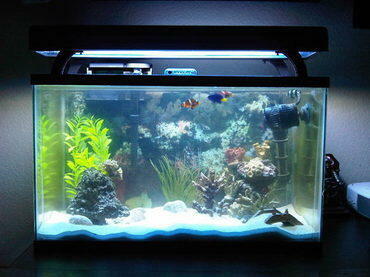 Many novice aquarium hobbyists assume that smaller tanks are going to be easier to maintain than larger tanks when, in fact, the opposite is true – to a certain degree, anyway. Consider the fact that the ocean itself fluctuates to a relatively small degree when it comes to things like salinity and water chemistry. Why? It is largely because of the sheer volume of water. Imagine this – you have a small glass of water and a large bucket of water. Now, add a drop of red food coloring to each and watch what happens. In the small glass of water, the dye spreads quickly and turns the water a dark red color. In the large bucket of water, however, the dye spreads more slowly and the resulting change in color is much less pronounced. 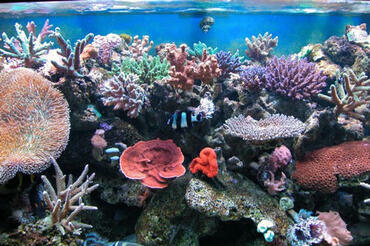 Now, think about this in the context of a saltwater aquarium. If something happens that has the potential to change the water chemistry in the tank, that change will have a lesser effect in a tank with a high water volume than it would in a smaller tank. But what exactly does that mean? It simply means that larger tanks are less prone to sudden and significant fluctuations in things like water temperature and water chemistry. If you make a mistake (and you probably will when you are first starting out), a larger tank gives you a bit more wiggle room to make the necessary corrections than a smaller tank. This isn’t to say that you don’t need to be careful, but larger tanks tend to be a little more forgiving. 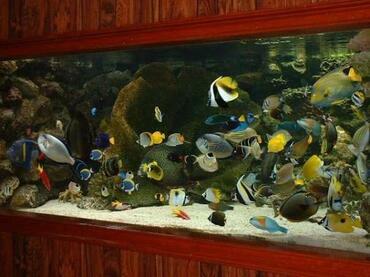 Resolution: Unless you want to risk killing your entire tank full of fish the first time you make a mistake, you may want to consider starting with a fairly sizeable tank – the largest tank you can afford to equip and maintain. 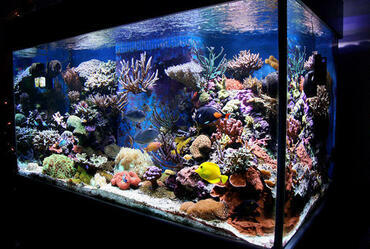 At the very least, choose a 29-gallon tank but a 55- or 75-gallon tank would be better. In addition to considering maintenance requirements, your choice of tank inhabits should also inform your decision when it comes to tank size. 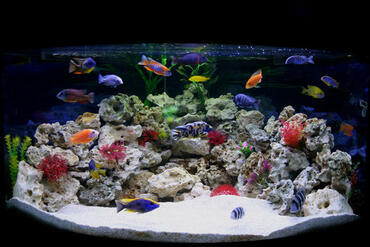 If you are limited by budget, choose the tank size first and then pick your tank inhabitants to match. 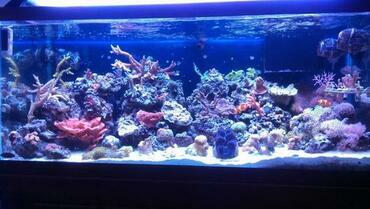 Becoming a saltwater aquarium hobbyist is not cheap. In fact, the tank itself may be the least expensive item on your list! 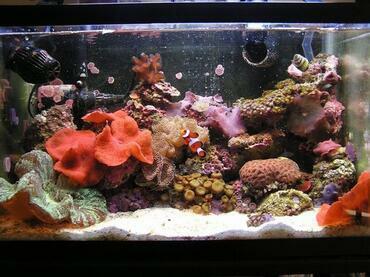 As you start researching and planning your first saltwater aquarium, you may be shocked to see how quickly the costs add up. Don’t make the mistake of shopping by price, however, and never purchase used equipment! It is well worth it to make a higher initial investment upfront than to pay the price down the line. 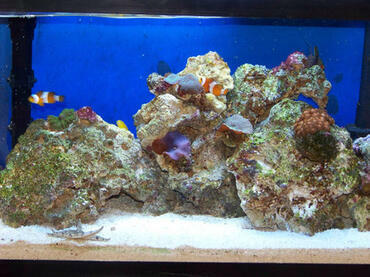 By now you well know that maintaining a stable tank environment is paramount in a saltwater aquarium. 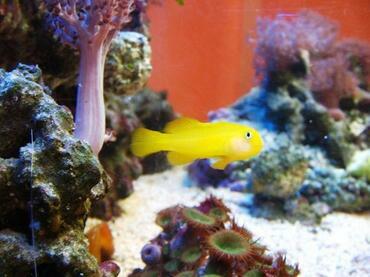 Though you will have to perform certain maintenance tasks yourself, the stability of your tank is largely left up to your tank equipment – your filtration system, protein skimmer, water pumps, and the rest. There are many different types of tank filters, heaters, and other types of equipment so you need to do some heavy research before you make your choice. If you don’t, you could end up wasting a lot of money when you find yourself needing to replace your initial equipment because it simply isn’t getting the job done. Resolution: As you research and plan your tank, be thinking about the kind of equipment you’ll need to maintain the ideal tank environment. Certain types of equipment like tank filters and heating systems are rated for different tank sizes, so it may be fairly easy to choose the right size once you’ve decided what kind of equipment you want to go with. You should also consider how the individual pieces of equipment will work together – it is recommended that you go with a sump system so you can install all of your equipment in one place. 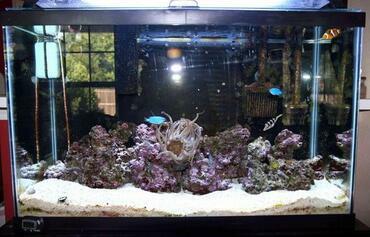 After spending hours upon hours researching saltwater aquarium inhabits and their requirements, you may be eager to get started. As is true with many things in life, however, if you take your time and do it right the first time you’ll save yourself a lot of hassle and heartache down the line. 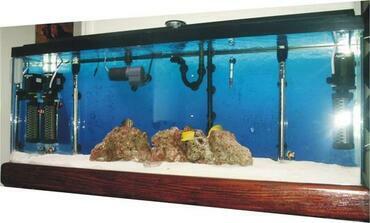 Once you’ve purchased your tank and assembled your equipment, don’t make the mistake of rushing the setup process. If you choose to use live rock in your tank, you’ll need to give it time to acclimate before you add any fish or other inhabitants. Why? It’s all about the nitrogen cycle. The nitrogen cycle is what keeps your tank running properly – it ensures that the water in your tank doesn’t become toxic for your fish. Here’s what you need to know: when your fish and other tank inhabitants consume food, they produce waste that accumulates in the tank. As that waste (along with uneaten fish food and other organic material) breaks down, it produces ammonia, a substance toxic to fish. Fortunately, there are beneficial bacteria living in the tank which break down that ammonia, converting it into nitrites and then into nitrates, both of which are less harmful. 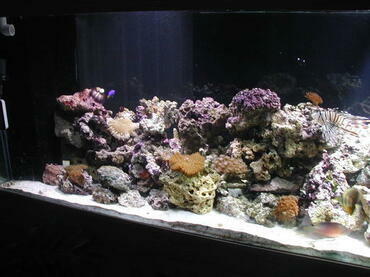 When you perform routine water changes, then, you remove the nitrates from the tank. 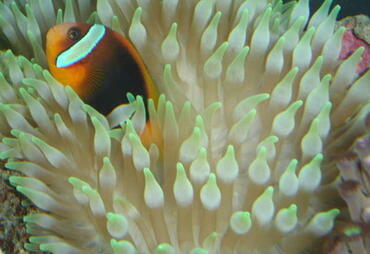 The problem that many novice aquarium hobbyists run into is that it takes time to build up a sufficient colony of beneficial bacteria – especially in a larger tank. 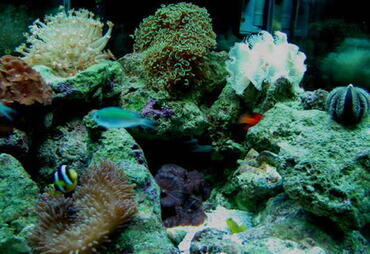 These bacteria live primarily in live rock and in the tank substrate. 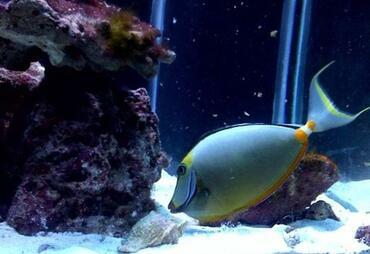 The more fish and other inhabitants you plan to keep in your tank, the more beneficial bacteria you’ll need to handle what is known as the biological load of the tank. If you try to add fish to your tank too quickly, the biological load could exceed the ability of your biological filtration system (those beneficial bacteria) in breaking down ammonia and you could poison your fish. Resolution: There is no hard and fast rule for how long you should let your tank cycle before adding fish – each tank is completely unique. 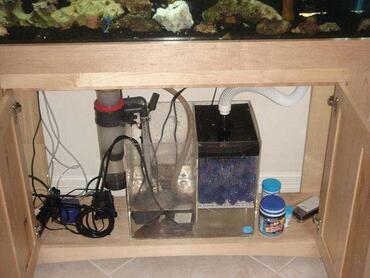 The best thing you can do is purchase a water test kit and test the water every few days until the tank has cycled. You should expect this process to take at least one week, but probably two or three. 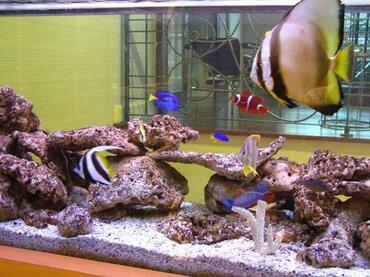 When you first start testing, you’ll notice that the ammonia level in the tank starts to rise. Over time, the ammonia will drop and nitrites will increase, then those will drop and nitrates will rise. 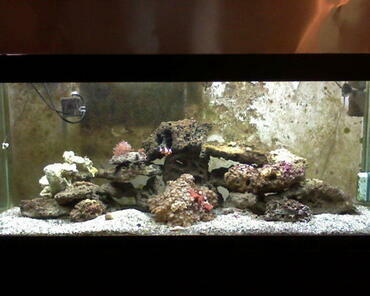 When both the ammonia and nitrites are down to 0 ppm, your tank has cycled. In the same way that not giving your tank time to cycle before adding livestock can overload your biological filtration system, so can adding too many tank inhabitants. When you add too many inhabitants to your tank too quickly, you’re likely going to end up with what is known as “new tank syndrome”. Basically, you’ll be shocking the system – suddenly increasing the biological load of the tank beyond what your current colony of beneficial bacteria is able to handle. 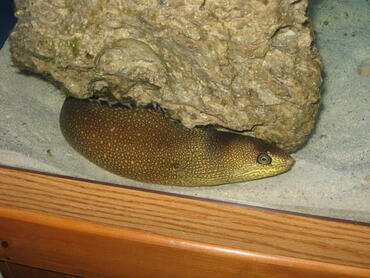 This can also happen when you add new live rock to an already cycled tank. The result? 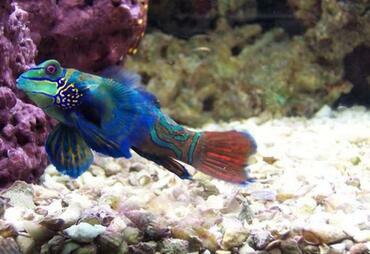 The conditions in your tank become harmful (even toxic) for your fish and they may die. 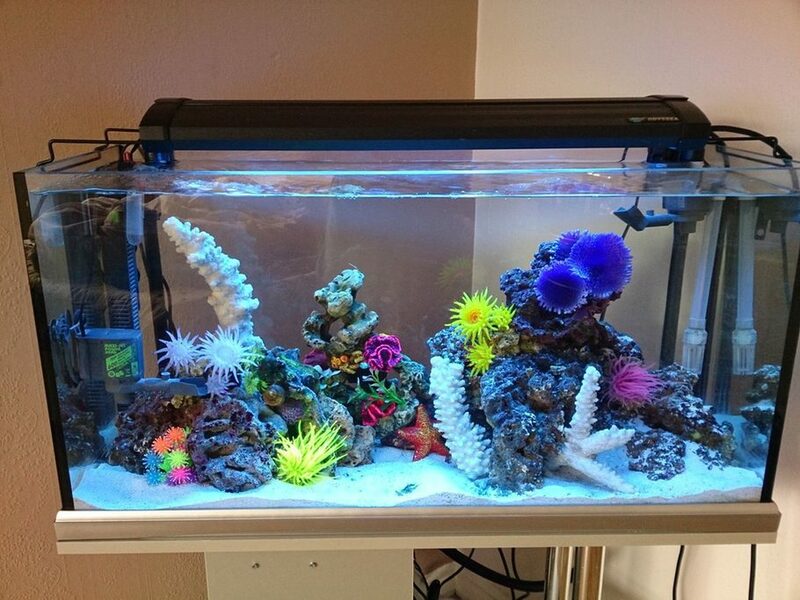 Resolution: Any experienced saltwater aquarium hobbyist will tell you that setting up a marine aquarium is a marathon, not a sprint. Because the balance in a captive marine environment is so delicate, any changes you make need to be made slowly and in the smallest degree possible. 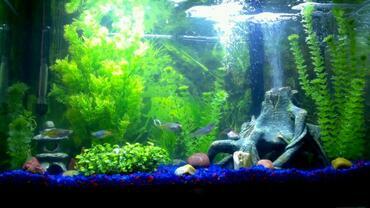 First and foremost, you need to make sure that your tank has fully cycled before you add any fish and, even then, you need to add them slowly and acclimate them properly. 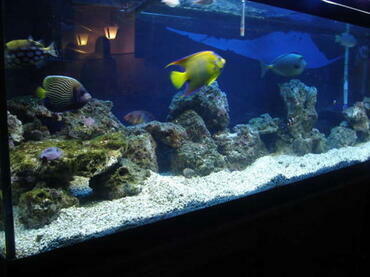 Once you have the tank where you want it, don’t make the mistake of suddenly adding another fish or invertebrate. It may seem like a minor change but the consequences could be severe. 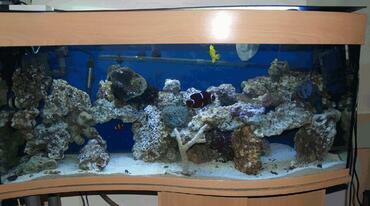 Once your tank is fully set up and cycled, don’t make the mistake of thinking your job is done! As your tank inhabitants produce waste, the nitrogen cycle will kick into high gear and the chemistry in your tank is going to fluctuate. 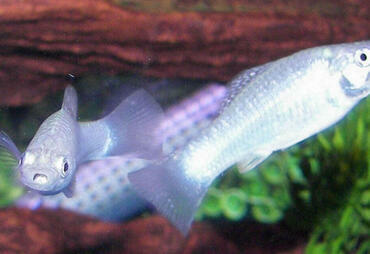 In order to prevent the nitrate levels from becoming toxic, you need to perform regular water changes. The challenge here is that you can’t just pour new water into the tank – you need to make sure that the water you add to the tank has the right balance of trace elements as well as the proper salinity so it doesn’t send your tank parameters into a nosedive. 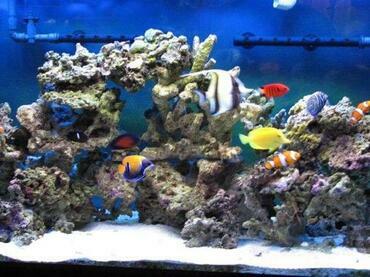 Topping off the tank like this is one of the most common mistakes saltwater hobbyists make, especially if they come from a freshwater aquarium background. Not only do you need to add new water to the tank when performing water changes, but you also have to accommodate for evaporation. 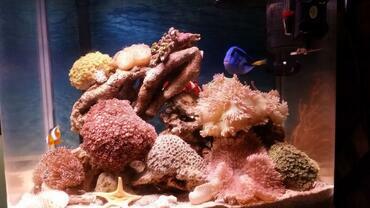 What many hobbyists don’t realize is that when water evaporates from the tank, the salt and minerals are left behind. For this reason, you’ll need to use some fresh water when topping off the tank. 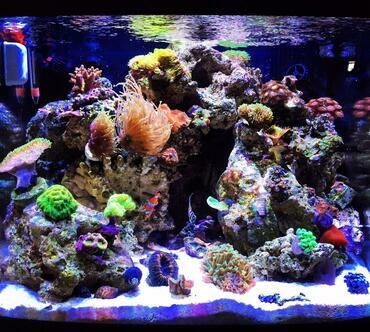 Resolution: How do you know when the mineral and salinity levels in your tank are creeping out of that optimal zone? 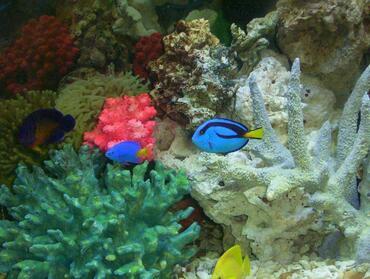 You need to test your tank water on a weekly basis using an aquarium water test kit. 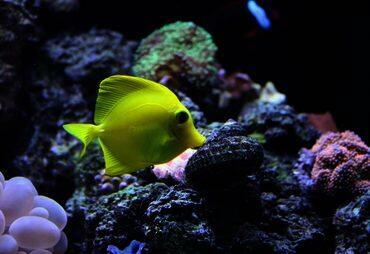 You’ll need to test and keep records of your tank salinity, pH, nitrate, calcium, and phosphate levels at a minimum. As you test your tank once a week, your record of results will help you to establish a baseline or a “normal” reading for your tank. In future tests, if the results are significantly different, you’ll know that something is wrong and you can take steps to fix it. One of the most common mistakes inexperienced aquarium hobbyists make (both freshwater and saltwater) is overfeeding their fish. 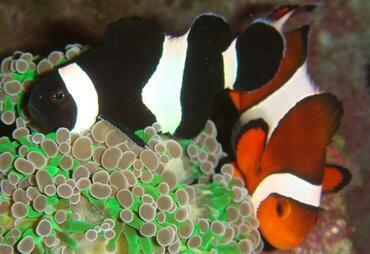 You may be surprised to learn just how little food most fish actually need. They might eat as much food as you offer them, but their actual needs for nutrition are likely to be much lower. By overfeeding your fish, you run the risk of throwing your tank’s water chemistry out of whack. The more your fish eat, the more waste they produce, not to mention all of the uneaten fish food that settles at the bottom of the tank. Resolution: Though different fish have different needs, the best rule of thumb to follow is this – only feed your fish as much as they can eat within five minutes. You may need to feed your fish multiple times a day, depending on their needs, but don’t feed them more in one feeding than they can eat before the food starts to sink. You should also be mindful of providing your fish with a high-quality and varied diet to keep them in maximum health and optimal condition. 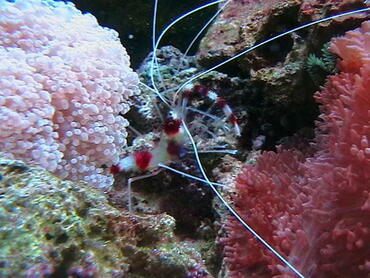 As you maintain your saltwater tank, there may come a time when you want to add new inhabitants. Before you do, make sure to perform some research to ensure that the inhabitant your adding is compatible with your current tank conditions – don’t make the mistake of trying to alter your tank parameters to suit a new fish. 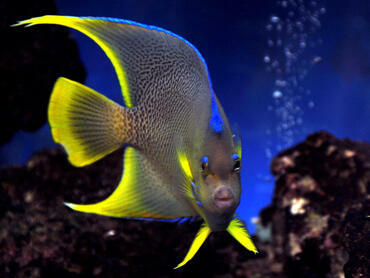 Once you’re sure that the fish will be able to survive in your tank, you can go ahead and purchase it. What you absolutely shouldn’t do, however, is bring home your new fish and immediately dump the bag into your tank – that’s a recipe for at least one dead fish and the results could affect the rest of your tank as well. 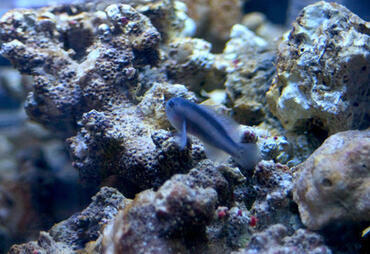 Resolution: When you are ready to add the fish, do so slowly, giving the fish plenty of time to adjust to the new tank. There are a number of different methods for acclimating new fish but the methods that work for freshwater fish may not be right for saltwater fish. The best method to use is called the “drip method”. 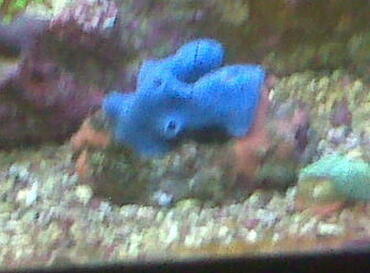 Basically, you empty the bag containing your fish and the water from its old tank into a bucket or some other container. Then, you run a length of airline tubing from your tank to the bucket, setting it to drip. Allow this to go on for at least 2 hours so your fish has fully acclimated to the new parameters then net the fish and add it to your tank. 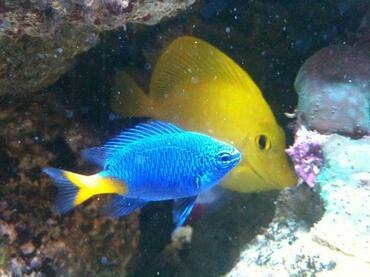 Not only do you need to be careful when adding new fish to your tank, but you also have to be very careful about where you buy your fish and other livestock. It might be tempting to go with the easy option and just purchase from your local fish store, but that may not be the smartest choice. 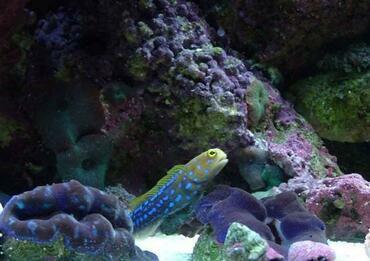 In many cases, the employees at these stores have the bare minimum when it comes to knowledge and experience for maintaining saltwater aquariums. If you purchase from these stores, the fish you bring home could already be sick or stressed from inadequate care. 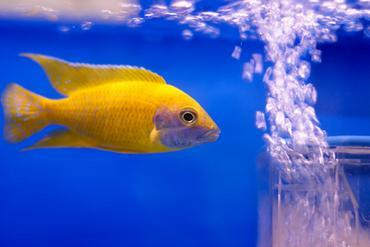 Adding the fish to a new tank could be the final straw, killing the fish or worse yet – it could be carrying a disease that spreads to the rest of your tank. Resolution: If you want to stock your tank with healthy livestock, you need to purchase from a reputable source. There is something to be said for being able to walk into a store and see the fish you’re about to buy, but there are also benefits to skipping the middle man and buying directly from a breeder. 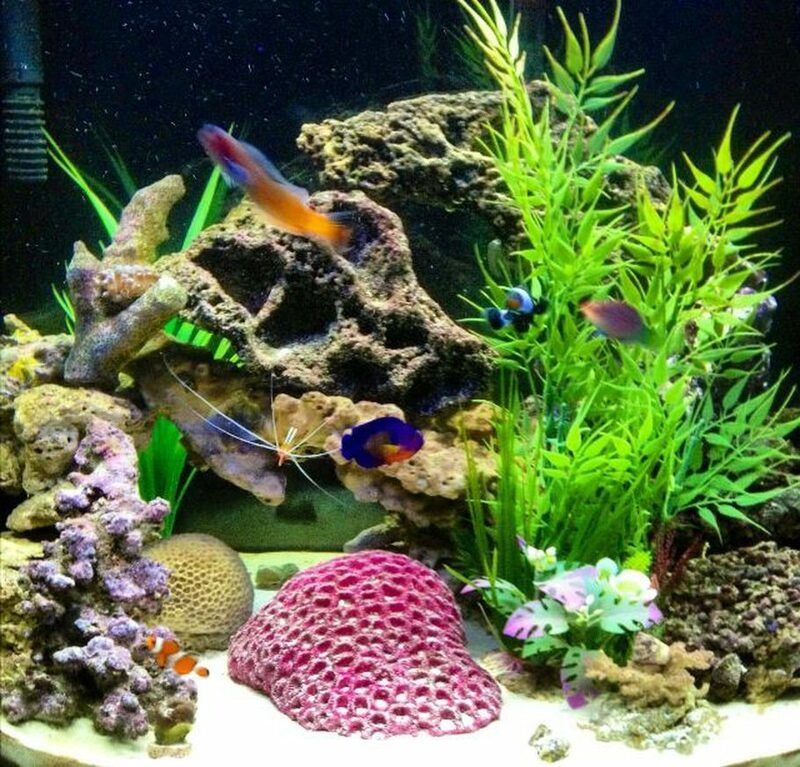 If you do purchase from a store, it probably shouldn’t be a big box or chain pet store – look for a local shop run by experienced aquarium hobbyists. If you decide to purchase online, look for a breeder that allows you to see the exact fish you are purchasing and make sure that their shipping practices ensure that the fish will arrive alive. One more thing to keep in mind when purchasing livestock is that you need to make sure it has been aqua-cultured (bred in captivity) and not taken from the wild. 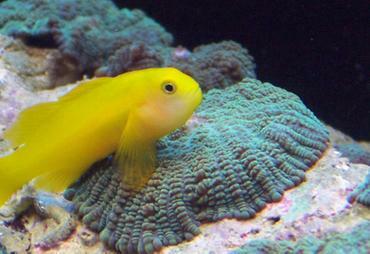 Wild-caught fish are difficult to care for and they are more likely to transmit disease to your existing tank inhabitants. 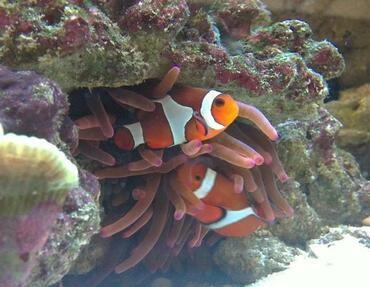 Every saltwater tank is unique, so there is no exact formula to follow when it comes to tank lighting, circulation, and filtration – it all depends on the individual requirements of your tank inhabitants. 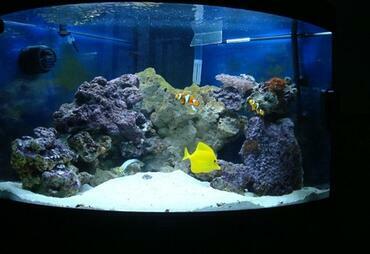 What many novice saltwater aquarium hobbyists fail to realize is that a marine environment is very different from a freshwater environment. Unless you have experience with planted freshwater tanks, it is easy to forget that aquarium lighting serves more than just an aesthetic purpose. 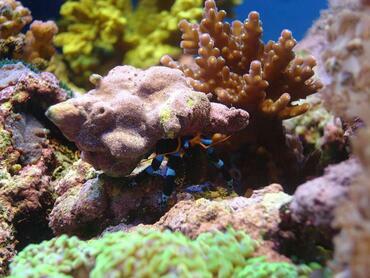 If you have live rock or corals in your tank, you need to make sure that your tank lighting is sufficient because it actually provides these photosynthetic organisms with the energy they need to live. 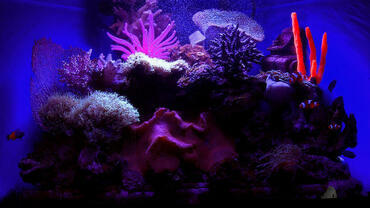 Not only is lighting extremely important in a saltwater tank, but so is circulation and filtration. 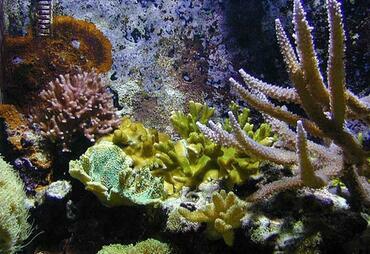 The ocean is full of currents – currents that carry food particles as well as waste products. 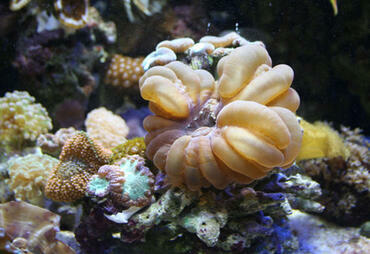 Circulation is particularly important for reef tanks with corals in them because these corals rely on the flow of water to deliver the nutrients they need to survive and to carry away the wastes they produce. Filtration is also extremely important because it helps to remove those waste products from the water column, keeping the water in your tank clean and the quality of the water high. 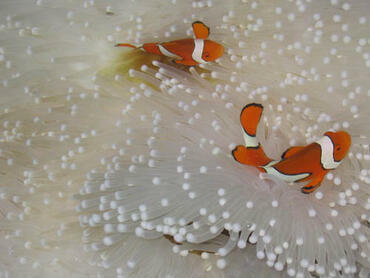 If any of these three is insufficient in your tank, it could have deadly consequences. Resolution: To a certain degree, finding the right balance for lighting, circulation, and filtration requires a bit of trial and error. 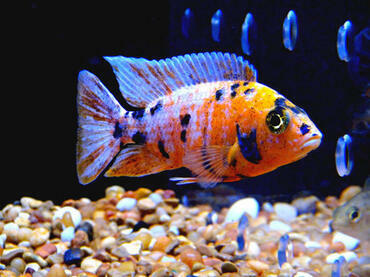 In the very beginning you’ll need to do your research and plan according to the type of tank and tank inhabitants you want. Once your tank is set up and cycled, however, you’ll need to make adjustments in order to create and maintain the right balance in your tank. This is where weekly testing comes into play. 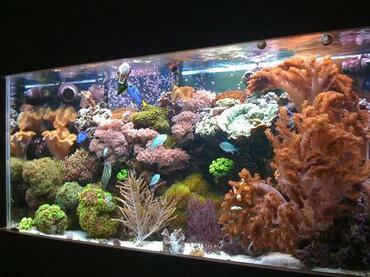 Again, as you test your tank water you should keep a record of the results so you know what’s “normal” for your tank. If you have to make changes to your lighting, circulation, or filtration, having a record of your ideal tank parameters will also be important for helping you get back to that optimal balance. 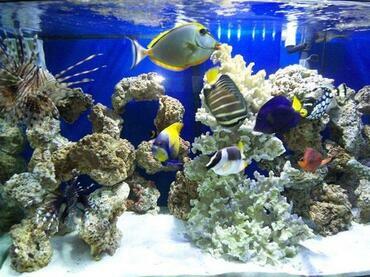 By now you should have a deeper and more thorough understanding not only of the requirements for keeping a saltwater aquarium, but of the challenges as well. Just because you’ve read about common mistakes, however, doesn’t mean that you’re automatically ready to set out and get to work with your own aquarium. 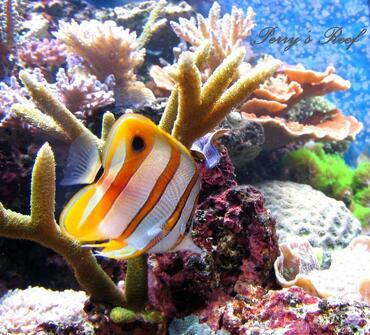 Especially if you are a saltwater aquarium novice, there is still a lot to learn! 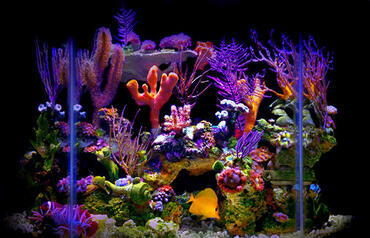 What kind of saltwater environment do you want to cultivate? 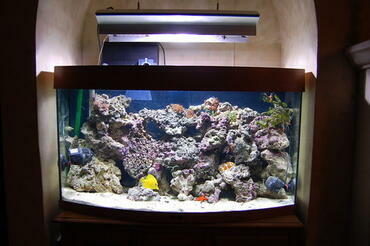 What size tank can you accommodate and what best suits your skills? 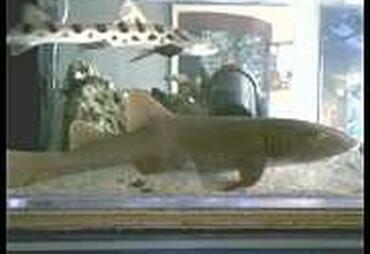 What kind of tank inhabitants and how many can you accommodate? 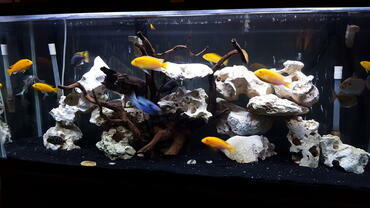 What are the tank requirements for those tank inhabitants? These are the simplest but also some of the most important questions you need to answer before you even think about purchasing any supplies or equipment. Your answers to these questions will actually bring a whole slew of other questions to the forefront. 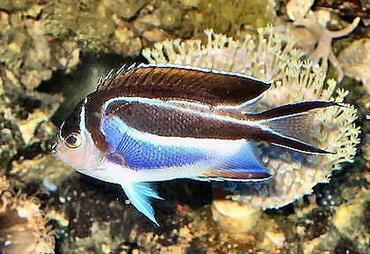 Only when you have a solid understanding of exactly what you want in a saltwater aquarium should you move from the research stage into the planning stage. 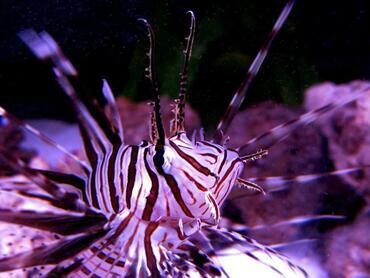 If you’re considering a saltwater aquarium, know that it is going to be very different from cultivating a freshwater tank and, in many ways, more challenging. The more research you do upfront, the better off you will be. Take the common mistakes discussed above (and their solutions) to heart as you start planning to improve your chances of success. Good luck!